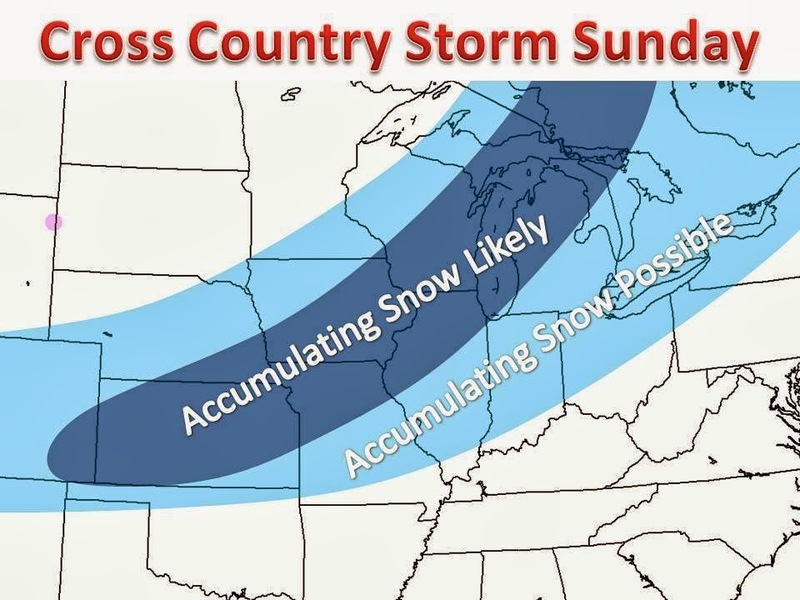 Midwest Winter Weather Blog: Our next winter storm? After a major ice storm to the south the next couple days, computer models are starting to pin down a moderately strong storm system that will emerge out of the Rockies on Saturday and meander to the Great Lakes by Sunday, dropping a decent amount of snow in the cold airmass to its west. With such cold air in place the snow will tend to pile up quickly, and "fluff" up. It will not take much to reach 6" of snow. Right now it is too early to pin down amounts, but it is starting to look like a solid area of 3-6" will be likely, with the best chances in the darker blue shaded region.